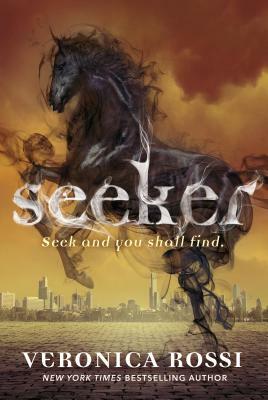 New York Times and USA Today bestselling author Veronica Rossi's new fantasy adventure in the Rider series -- Seeker . Veronica Rossi is a New York Times bestselling author of Under the Never Sky Trilogy, Riders, and other fiction for young adults. She completed undergraduate studies at UCLA and then went on to study fine art at the California College of the Arts in San Francisco. She lives in Northern California with her husband and two sons. When not writing, she enjoys reading, painting, and counting down the minutes until she can get back to making up stories about imaginary people. "The feeling of imminent danger and the constant battles with terrifying creatures help bring this vivid story to life. However, the depth of characterization is what will make readers connect to this small group of teens on a mission to save humanity. Gideon and Daryn display a powerful chemistry from their very first meeting, while the personality conflicts between Gideon and his fellow horsemen keep this adventure both intense and humorous." --RT Book Reviews, Top Pick!